According to Infinity Ward, the two-player co-op Special Forces mode in Call of Duty: Modern Warfare 2 will last as long as the single-player campaign, which has been described as approximately six hours long. Special Forces will feature some unique on-rails segments and locales in addition to the classic run 'n' gun formula of the Call of Duty series. Stephen Totilo attended a preview event recently, and was able to view a lengthy demo and participate in a Q&A session which shed a tiny bit of light on the hotly anticipated title's co-op. Infinity Ward is promising some really interesting scenarios, including a fight in the water (remember the trailer? ), a snowmobile race, and surviving a 2-vs-50 bumrush. 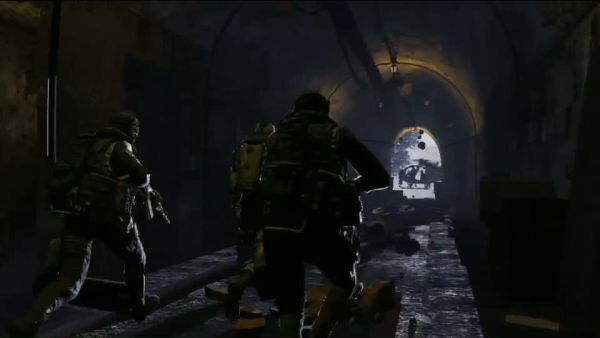 Even more tantalizing [than the campaign] was talk of the mysterious Special Ops mode, a batch of co-op missions that will last as long as the game's single-player campaign. Bowling said that the developers didn't think co-op gameplay would work throughout the game's campaign, so they chose to pull sections out, remix them and make some new missions, all tailored for co-op, and dub it Special Ops. Examples Bowling provided were a snowmobile race, a water-based fight alongside Navy SEALS, or a fight against a rush of 50 enemies. Infinity Ward isn't showing Special Ops yet, but they do sound close to revealing more about that and the series' returning competitive multiplayer. If what the dev team is saying is true, then it's possible that we may be getting some really good snippets of early campaign concepts lumped into a mode that's optimized for co-op. It still burns me up that Special Forces is limited to two players, but I have a feeling that I will still be playing quite a bit. Quite a bit.